This statement of purpose has guided the Museum for more than a century. 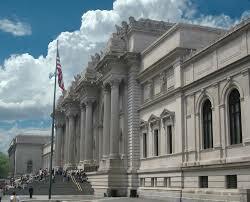 The mission of The Metropolitan Museum of Art is to collect, preserve, study, exhibit, and stimulate appreciation for and advance knowledge of works of art that collectively represent the broadest spectrum of human achievement at the highest level of quality, all in the service of the public and in accordance with the highest professional standards. The Metropolitan Museum of Art’s earliest roots date back to 1866 in Paris, France, when a group of Americans agreed to create a “national institution and gallery of art” to bring art and art education to the American people. From East Side of Manhattan: Subway: Take the 4, 5, or 6 train to 86th Street and walk three blocks west to Fifth Avenue. This walk is about a half mile and takes approximately ten minutes. Bus: Take the M1, M2, M3, or M4 bus along Fifth Avenue (from uptown locations) to 82nd Street or along Madison Avenue (from downtown locations) to 83rd Street. From West Side of Manhattan: Take the 1 train to 86th Street, then the M86 crosstown bus across Central Park to Fifth Avenue; OR take the C train to 81st Street, then the M79 bus (free transfer) across Central Park to Fifth Avenue. From Penn Station: Take the M4 bus to 83rd Street and Madison Avenue; OR take the C local train to 81st Street and transfer to the M79 crosstown bus (free transfer) across Central Park to Fifth Avenue. From The Cloisters: Take the M4 bus directly to 82nd Street and Fifth Avenue; OR take the A train to 125th Street, transfer to the B or C local train, exit at 81st Street, and transfer to the M79 crosstown bus (free transfer) across Central Park to Fifth Avenue. Subway: Take the 4, 5, or 6 train to 86th Street and walk three blocks west to Fifth Avenue. This walk is about a half mile and takes approximately ten minutes. Bus: Take the M1, M2, M3, or M4 bus along Madison Avenue to 83rd Street. From The Cloisters, Bronx, Northern New Jersey, and New England: Take southbound Henry Hudson Parkway to 96th Street exit; cross Central Park and turn right on Fifth Avenue; enter Museum parking garage at 80th Street. From Brooklyn and Staten Island: Take Williamsburg Bridge, Manhattan Bridge, Brooklyn Bridge, or Battery Tunnel to northbound/uptown FDR Drive; exit at 96th Street; proceed straight onto York Avenue; turn right on 86th Street; turn left on Fifth Avenue and enter Museum parking garage at 80th Street. From Southern New Jersey: Take New Jersey Turnpike to Holland Tunnel–Uptown exit; northbound Hudson Street becomes Eighth Avenue, which becomes Central Park West; at 86th Street, turn right and cross Central Park; turn right on Fifth Avenue and enter Museum parking garage at 80th Street. From Bronx, Queens, Long Island, Upstate New York, and New England via RFK Bridge: Take southbound/downtown FDR Drive to 96th Street exit; proceed straight onto York Avenue; turn right on 86th Street; turn left on Fifth Avenue and enter Museum parking garage at 80th Street. From Queens and Long Island via Queensborough Bridge: Use either level; take right-lane exit onto 60th Street (westbound); at Madison Avenue, turn right and drive north/uptown; turn left on 81st Street then left on Fifth Avenue; enter Museum parking garage at 80th Street.